A critically endangered black Javan leopard (Panthera pardus melas) was spotted on the camera trap installed by the rangers at the Bromo Tengger Semeru National Park (TNBTS) in Lumajang District, East Java. "The camera traps have been set in several spots at the national park, and the devices have recorded the presence of a big Javan leopard," the chief of the conservation area, Budi Mulyanto, said in the district, Wednesday. The Mounts Bromo, Tengger, and Semeru are homes for the protected animal, but the national park authority has not yet found out the total population of the species in the wild. Mulyanto stated that the authority was yet to conduct a comprehensive survey to count the animal population. 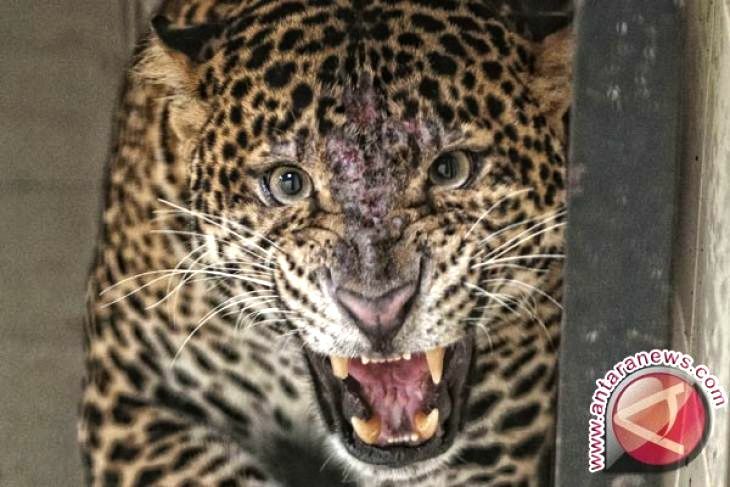 "According to the rangers` observations and the images recorded by the camera trap, there are only 10 Javan leopards left at the national park," he noted. According to the IUCN Red List of Threatened Species, the Javan Leopard has been listed as a critically endangered animal, and based on the Convention of International Trade in Endangered Species (CITES), the animal is not allowed to be traded in any form (Apendiks I). "In accordance with the Law No.5 Year 1990 on the Biodiversity and Ecosystem Conservation, the Javan Leopard is part of the protected wild animals," he noted. The Government Regulation No.7 Year 1999 also has called on people to stop hunting and trading this critically endangered species. In order to protect the Javan leopard, the national park authority will regularly check the animals` footprints, while intensively supervising the records. "The rangers will regularly patrol the national park to prevent Javan leopard trophy hunting," he added. In mid-2015, the TNBTS rangers recorded an image of a Javan leopard in the state-owned plantation sites at Coban Trisula. According to the data retrieved in 2015, some 38 protected wild animals, including 24 birds, 11 mammals, a reptile, and two insects, have inhabited the national park.